During the Civil War, John served in Company I, 201st Pennsylvania Infantry. This regiment organized at Harrisburg on 29 August 1864. They moved to Chambersburg till the end of September and then guarded the Manassas Gap Railroad until November when they were consolidated at Camp Slough in Alexandria. They were mustered out of the service on 21 June 1865. 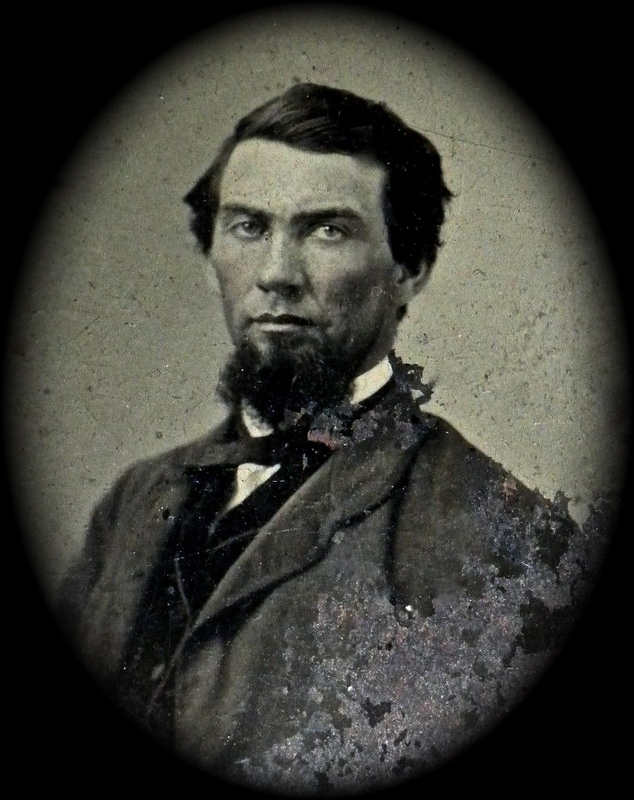 John’s brother, David Wolff was drafted into the 149th Pennsylvania and was killed at Sailor’s Creek, Appomattox. From the letter we learn that John has been detailed to Alexandria where a number of court martial proceedings are underway. Many of the officers of the 201st Pennsylvania were assigned to serve on these military boards. My hunch is that John’s education and good handwriting landed him a job as a record-keeping clerk in these proceedings. I shall spend a few moments this evening in penning you a few lines to let you know how things are going on in this department. As far as military matters are concerned, there has been no change. We are all in our old positions. I am still well and hardy and getting along as usual. I spent yesterday afternoon at camp with Oliver.¹ Took supper with him. After supper, the regiment had dress parade and the Colonel marched them into town and around past General [John Potts] Slough‘s headquarters.² The regiment made a fine appearance. I don’t know what the general thought of them. I came into town in the evening when the regiment came in. We had two fires in town last night but not much damage was done. One stable was burned down. The fire companies were out with their engines and soon extinguished the flames. I was at Presbyterian meeting this forenoon. Heard a very good sermon. The minister was quite loyal today. He prayed for the President of the United States and all in authority under him. He also prayed that God would show our enemies their error, that He would turn their hearts to do that which is right. The church bells are beginning to ring and I will son hasten to church once more. I suppose you are spending this evening around the stove talking to your little ones. This has been another fine day though not as warm as some we have had. I hear Uncle John is giving a hand — 25 dollars a month this summer. That is pretty high up in the figures, I think. The young ones are making considerable noise on the streets tonight. It is so pleasant; they are all out. The weather is getting so warm that I will soon have to lay off my under clothes. The two shirts that I bought in Harrisburg I am wearing yet and they are pretty good. I don’t know whether they will do me one year or not but I think they will if we stay here. I have just returned from meeting. I heard quite a good sermon tonight. Text was, “I speak unto you young men because you are strong.” I was at the Episcopalian, or Christ’s Church, as it is called. The minister that preaches in that church is the best preacher in Alexandria City. I love very much to hear him preach. The wind got so strong here that it blew our chapel tent down so we had no meeting in camp today. I will stop for tonight and retire to my couch and dream of loved ones far away. All well this morning. No war news of any account today. Our court is now in session trying deserters. I hear that John Brindley [born @ 1834] and Mag. Typer are married. It must have been done pretty sly, I think. Brown McCurdy is at home. I hear that he has been discharged. I would like to know how he succeeded in getting his discharge. This is another fine day — nice and warm. The streets are full of wagons, horses, and people going to and fro. So much noise I can hardly [hear] one speak in the room. I don’t know whether there is a letter for me at camp or not but I expect there is. I will not have time to go out till evening. And in order that you shall get this, I must mail it by 3 o’clock this afternoon. I hope it may find you all well and getting along well. ¹ “Oliver” was John’s brother-in-law Stephen Oliver McCurdy (1834-1888) who served as a 1st Lt. in Co. G, 126th Pennsylvania from August 1862 to May 1863. His pension file indicates he later served as 1st Lt. of Co. I, 201st Pennsylvania. 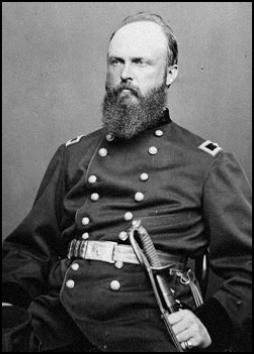 ² General John P. Slough (1829-1867) was the military governor of Alexandria, Virginia.